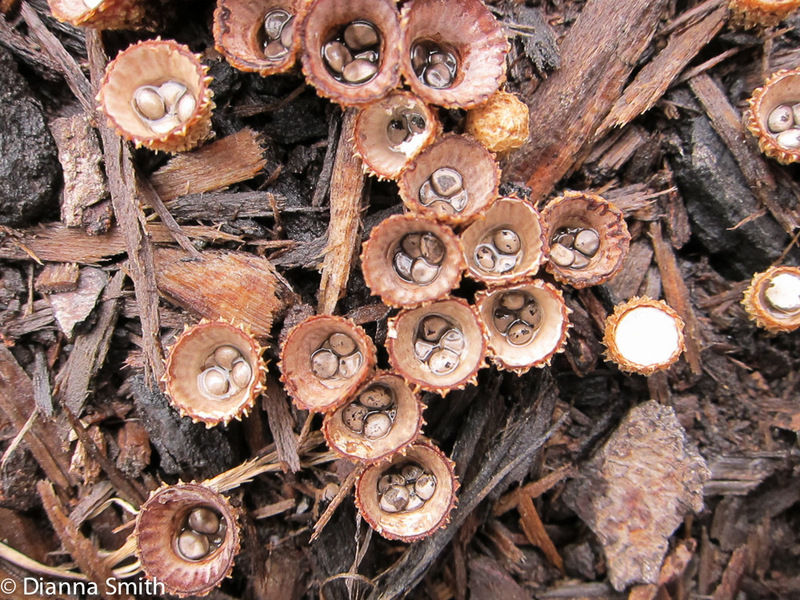 Cyathus striatus, the 'Fluted Bird's Nest’. This gregarious little fungus is shaped like a vase. It has an outer covering of brown fibrils. 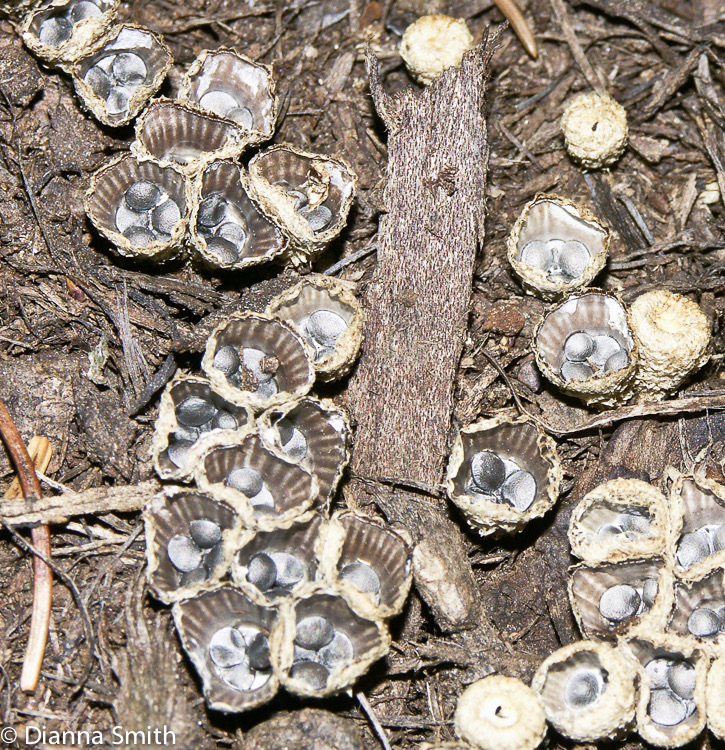 On expanding, the lid (epiphram) splits open to reveal several shiny dark gray spore capsules (peridioles) sitting at the bottom of the cup, the interior walls of which are distinctly striate. Attached to each peridiole is a funicular cord. When raindrops hit the spore capsules, the latter are projected outward. The cord wraps around and anchors the peridiole to the new substrate, after which the capsule covering disintegrates releasing the spores within. 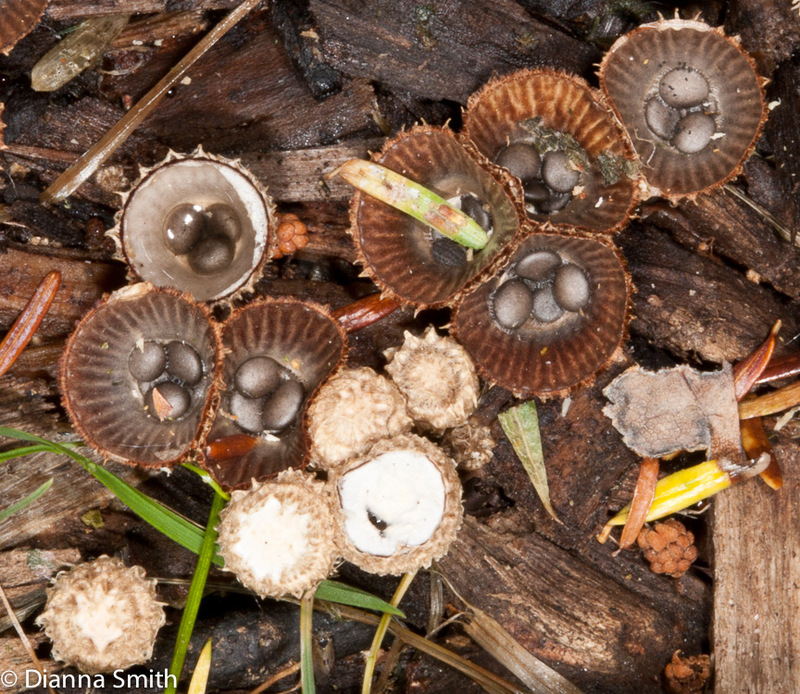 Cyathus striatus is saprobic on wood chips and other debris. It is commonly found from spring through autumn, especially after rains.